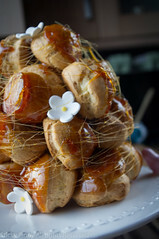 So the theme of last weeks’ Great British Bake off, was French – Ooh la la! It also saw the departure of Beca who I was rooting for – Boo!!! I’ll be interested to see who wins this year now. I know who I want but I NEVER get it right. I didn’t have much time this week to create anything too complicated (darn you real life, getting in the way of this pretentious blogger bubble of mine!) 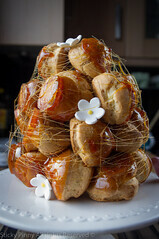 and I definitely didn’t want to make that “brain cake” (Charlotte Royale) that was the technical challenge. 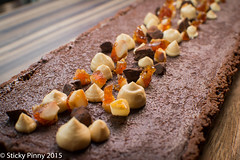 The signature challenge was to make a selection of canapes and given that so far in this series of GBBO inspired bakes I haven’t actually made anything savoury (You wouldn’t have thought I don’t have a massively sweet tooth would you!?). 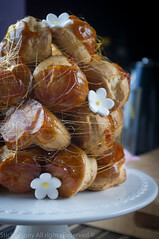 I make canapes quite often for the supperclub I thought I might as well use this to my advantage. 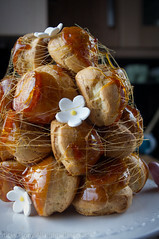 I was drawn to the idea of making a savoury choux – most people, including myself, wouldn’t automatically think choux would be a vehicle for savoury, but it actually really works. 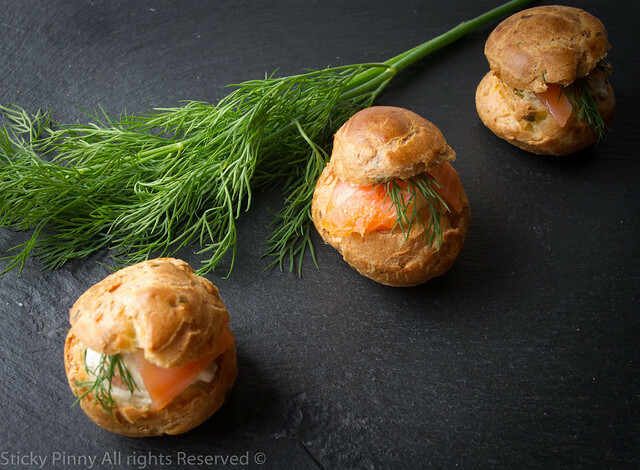 The pastry is made with onion, garlic and chives and I filled the mini buns with a cream cheese, horseradish and smoked salmon mousse, then topped with a slither of smoked salmon. 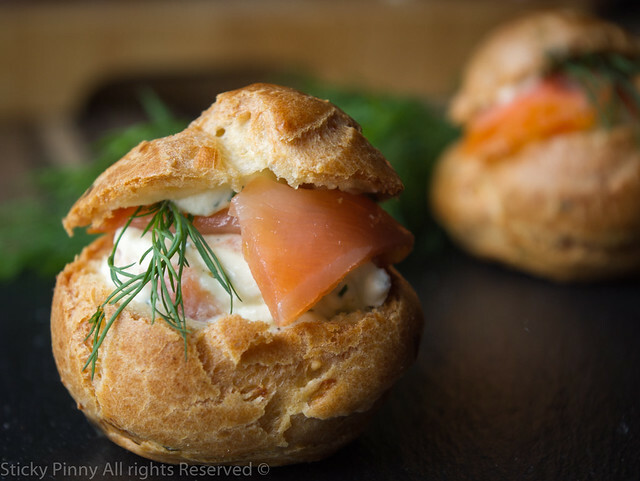 The crispness of the pastry compliments the creaminess of the filling and then pungent hit of horseradish and the smoky salmon are a perfect partnership. I literally devoured about six once I’d taken the pictures and probably could have eaten another six! 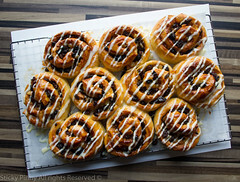 Aside from them making a great canape, these little delights are perfect for afternoon tea and I’ll actually be serving these us to our guests attending our afternoon tea event in November, so I hope they love them as much as I do – that is of course whether there are any left for them to eat if I get my grubby mitts on them! Measure the flour, salt and cayenne into a bowl. Fill a pan with 100ml water, the vermouth and butter. As soon as it boils, add the flour mix in one go and beat briskly with a wooden spoon. Remove from the heat and stir until the mixture comes away from the sides of the pan. Throw in the chives at this stage. Add the eggs, one at a time, beating until the mixture is smooth, glossy and lump-free. Pipe or spoon small blobs, about the size of a ping pong ball, of the mixture on to a lined baking sheet. Bake for 20-25 minutes, until risen and golden brown. Remove from the oven, pierce with a small hole to allow the steam to escape, then leave to cool. Once cool, split so you can fill them. For the filling, add the cream cheese, horseradish, shredded salmon, dill and lemon zest into a bowl and beat together squeeze in the lemon juice and taste – it may need a little more so adjust to your taste. Don’t loosed the mix too much though. Blend until mousse like and combined, then season. 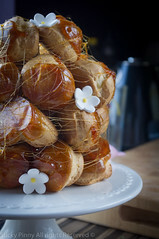 Place the filling in a piping bag and pipe into the one half of cooled buns. 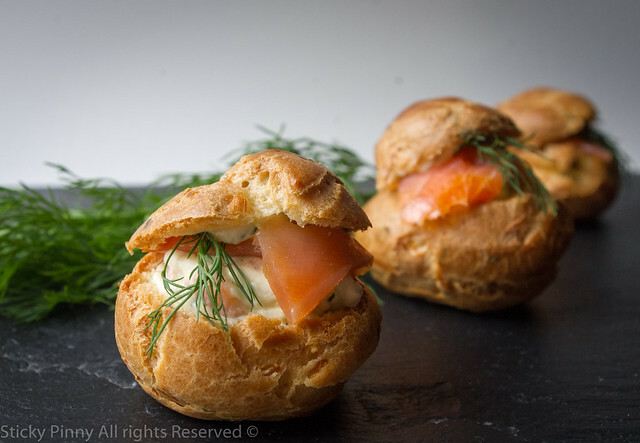 top with a slither of salmon and a dill frond, then add the other choux bun half – I used a little more of the mousse to stick this on with. 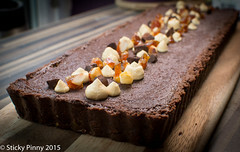 Eat as quickly as you can, or the pastry will go soggy! 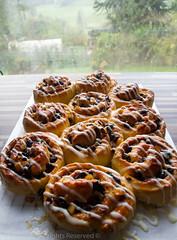 These look fantastic – I’m sure they’ll go down really well at your afternoon tea. I’m equally gutted that Beca has gone. She was the contestant I could most identify with. Only one day to go before it’s all over for another year…..